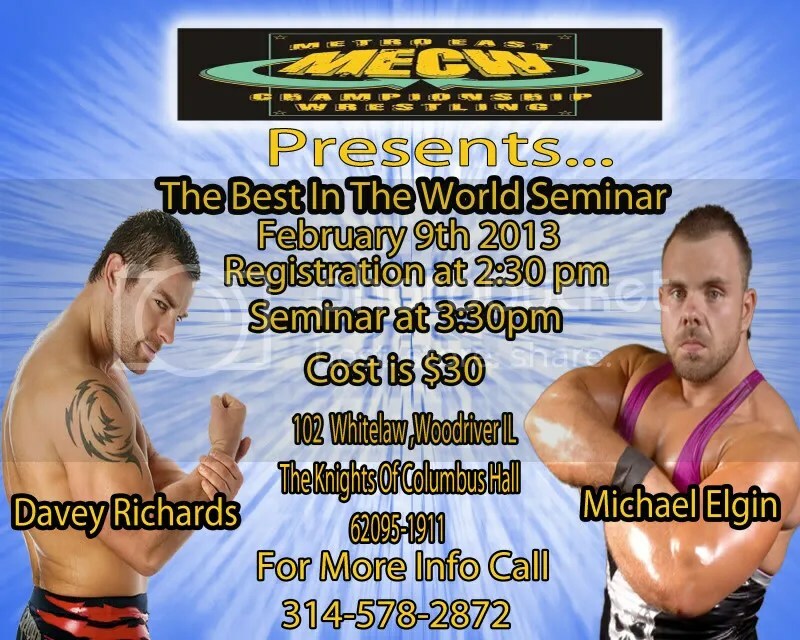 Michael Elgin challenges Eric Allen for the MECW Championship this Saturday ! Eric Allen is now the hunted this Saturday when Ring of Honor superstar Michael Elgin looks to destroy the hometown favorite in front of a capacity crowd. Less than two weeks ago Wood River, Illinois was rockin’ when Allen met the former ROH World Champion Davey Richards, in the biggest house of the company that has proclaimed 2013 the year of MECW. This coming weekend the card is once again stacked as Davey Richards returns to meet the “Shogun” Chris L.O.G.A.N. 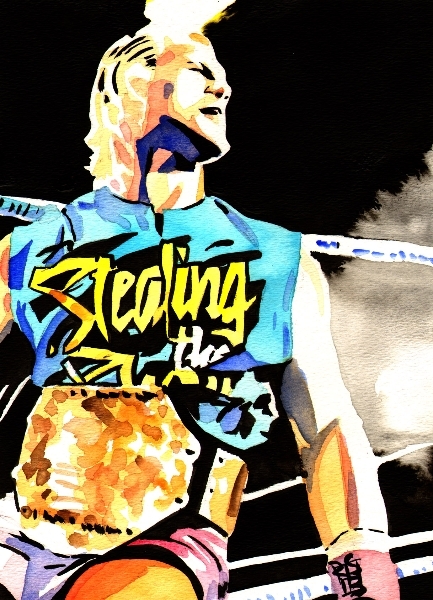 Can L.O.G.A.N withstand the onslaught of one of pro wrestling’s fiercest strikers? Also on tap will be two former MWR Wrestler of the Years, Mark Sterling and Mike Sydal in a four way match that will also feature Sir Bradley Charles and ROH Star Kyle O’Reilly. Buddy Roberts Jr. will be put to the test when he goes one on one against Tony Kozina. Plus Mauler McDarby will try to offset the power of JOEY. This and much more this Saturday night when MECW returns to WoodRiver, Illinois at the Knights of Columbus Hall. This entry was posted on February 4, 2013 at 7:23 pm	and is filed under Uncategorized. Tagged: Eric Allen, Michael Elgin. You can follow any responses to this entry through the RSS 2.0 feed. You can leave a response, or trackback from your own site.